A listing on Amazon Canada's Ubisoft page for "Splinter Cell 2018" was briefly live today, suggesting that the stealth franchise will make a return this year. The listing is no longer there, but IGN managed to get eyes on it after being directed there by a Reddit post. The product was listed without a release date, platforms, or box art, so it's entirely possible it was a speculative placeholder listing by Amazon. That said, it would be far from the first time that a listing on an online store hipped us to the existence of a game, and Ubisoft CEO Yves Guillemot said in a 2017 AMA that Splinter Cell "is a brand we talk about a lot", and that fans should "stay tuned for more". "What we can say is we're receiving a lot of sketches and proposals around the brand and we're going to pick one up," he said at last year's E3. "I think you will be able to see something, but you will have to wait for that." 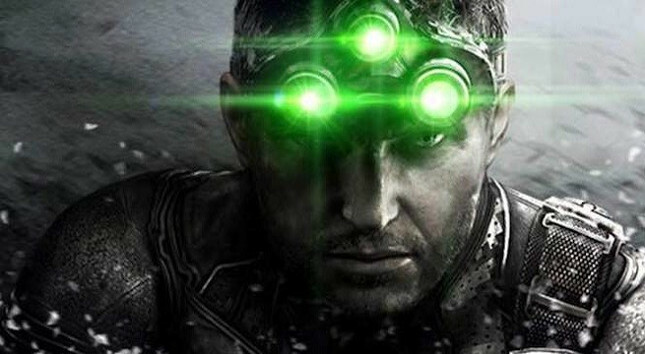 The last Splinter Cell game was 2013's Blacklist, which featured Eric Johnson as protagonist Sam Fisher rather than series mainstay and fan favourite Michael Ironside. Ironside was dropped because Ubisoft was moving to full performance capture for the game, and he didn’t have the physical attributes required to act the part. Despite the change of casting and Blacklist subpar story and unperceptive AI, I still enjoyed the game a lot. "Few franchises have managed to stay as consistently great as Splinter Cell, and six games in (seven if you include the atrocious PSP title, and you shouldn't), it’s still offering lively gameplay – this time for fans and newcomers alike," I wrote in my 2013 review.